NOKIA INTRODUCED NOKIA 2730, 3G PHONE FOR RS.4499. The sleek and compact Nokia 2730 classic is one of the industry’s most affordable 3G device. 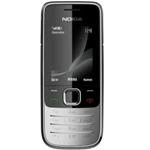 It is equipped with Nokia’s services such as Ovi Mail, Nokia Messaging, Nokia Life Tools etc. Nokia 2730 comes with 2 megapixel camera, running S40 system, 30MB phone memory and a 2.0-inch resolution of 240 × 320 display. It comes with Numeric keypad, at the same time, it’s available in Black and Dark Magenta as per region. Does it has video chatting facility? how to confugure internet settings? i went to nerest BSNL offic, they have done some setting, after the setting i can browse only in mobile, when i connect to laptop through PCSUITE it says subscribe packet data — internet is not connecting. The phone comes with basic 3G that provides a downspeed of just 384kbps. Better to look for some other high end models if u want to use full features of 3G network. I WANT TO STATE YOU THAT I AM USING NOKIA 2730C. IT DOESNT SUPPORT VIDEO CALLING AND WHY IT IS NEEDED???? IT IS NO NEEDED NUMBERS OF CAMERA.